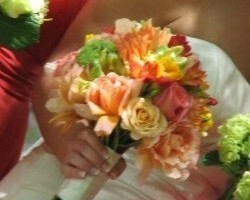 In Bloom is a team of wedding florists in Charleston, SC that has been operating in the area for years. This company makes having beautifully designed flowers that are fresh and colorful an option for more couples as each of the arrangements is affordably priced. 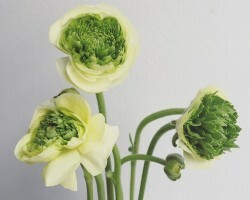 The rates for all of this company’s creations depend on the flower types, the season and the style that you are seeking. Once this team has all of the information and their design assignments, they will provide you with amazing results. 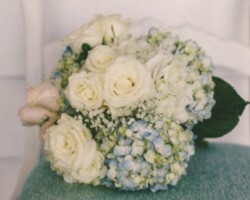 Whether you would like special flower delivery in Charleston or would like wedding decorations and a unique bouquet, SYG Designs is always available to accommodate. This company uses an exotic and unusual selection of flowers to come up with the best possible designs to suit your style and your event. This means that your entire décor will be special to you. Reviews of this company cannot seem to say enough about how effective this approach is in making a wedding even more special. Flower shops in South Carolina need to keep up with the high standards of service and quality that have been set by Charleston Flower Market. Using creativity and fresh flowers to come up with arrangements that will suit your wedding style, this team is able to accommodate for all kinds of celebrations beautifully. You will love working with such a talented and experienced team. Not only will this give you peace of mind, but it will also ensure you love the décor on your big day. 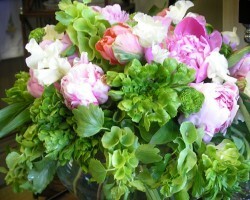 Suzanne’s Floral Studio is more than just a company that puts flowers nicely in a vase. Suzanne and her team are designers and artists that are able to use flowers, plants and other natural materials to create beautiful and unique pieces. These creative solutions will make any special occasion even more beautiful. Each aspect of the floral design is made to order. You will always be in total control of the wedding flowers that you get from this local shop. Whether you are having a garden inspired wedding ceremony or would simply like romantic accents throughout the celebration, Charleston Blooms is there to accommodate. 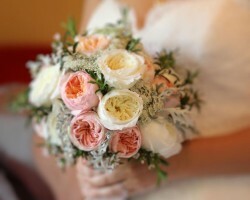 This expert Charleston florist is able to meet any style and color requests you may have for each individual aspect of the design. From the bouquets to the centerpieces and the corsages, each flower will be fresh and made to suit your unique wedding style. The services of this team are affordable too, which makes hiring them even easier.